A news reporter interviews Jigen about how he first met Lupin. Lupin the third is a very skilled thief who is always chased by Inspector Zenigata. 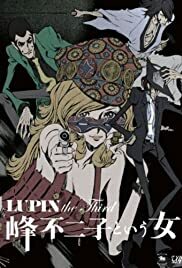 This is an introduction to the classic Monkey Punch characters.Even if it is visually attractive and the narrative quite interesting, it is not the same as the original 70s cartoon. It certainly keeps some stuff from the original series, like the characters' behavior. Lupin is still full of himself and really clever at what he does. Fujiko rivals him, but counts on her beauty as an extra. Jigen is remarkable at shooting. Goemon is an old school samurai. I think the sickest character is Fujiko and Jigen the least mental. The main flaw is the characters' appearance. Even if they wear the same clothes as in the 70s, the drawings do not reflect their personality as well as the old ones.